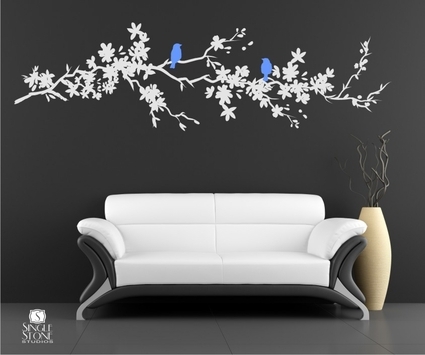 A graceful, leafy branch adorned with 2 birds longingly gazing at each other. A quiet romance. 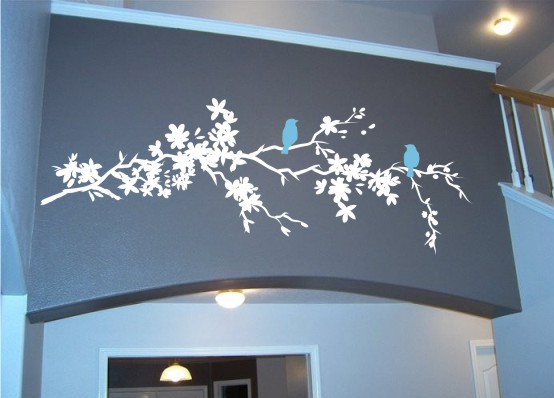 As with any of our decals, we can resize this design to fit your space. Email us with what you need. 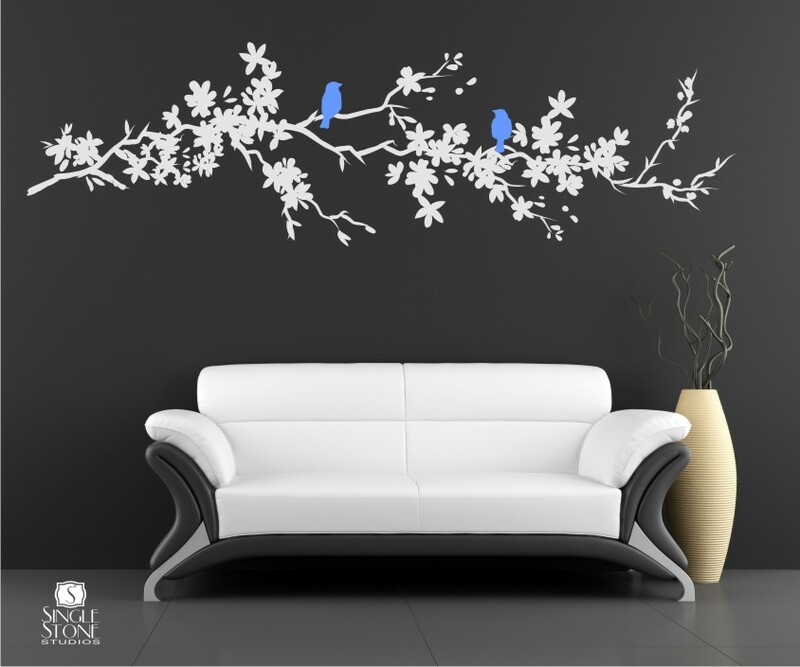 Click here for our color chart.